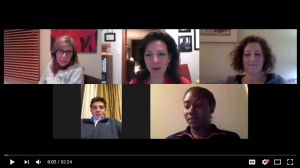 Watch the video as parents and students share their experience in OPTing Out. 1) There is no evidence to support the validity or reliability of state mandated tests. 2) The tests are culturally and linguistically biased and lead to unfair racial profiling. 3) The high-stakes associated with the tests unjustly punish teachers who work with low-income children and lead to high teacher turnover. 4) One-size-fits-all measures cannibalize the curriculum and limits students’ choices in learning. 5) High-stakes tests kill innovation and demands conformity to the lowest levels of thinking.